10 foot tall (120 inches) fixed height silver upright with a 1.5 inch outside diameter. A Fixed Upright is one piece. It does not break down into smaller sections or adjust in height. Aluminum pipe means less weight and easy set-up. Four 90 degree slots at the top, at 3 feet tall, and at 8 feet tall allow for various configurations such as continuing a linear span, making right angle turns, creating "L" shapes, and creating shorter height side walls. 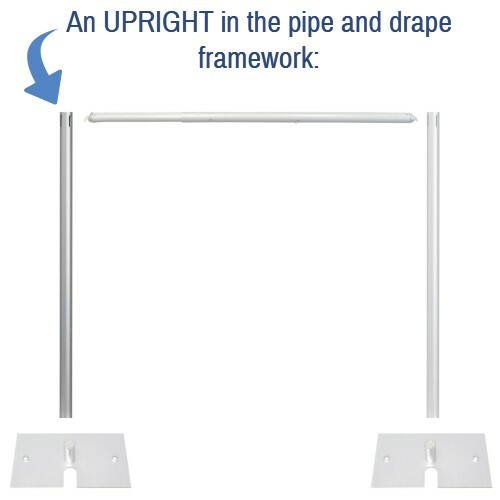 Our 10 foot tall fixed Upright is available with an optional DuraTop upgrade. 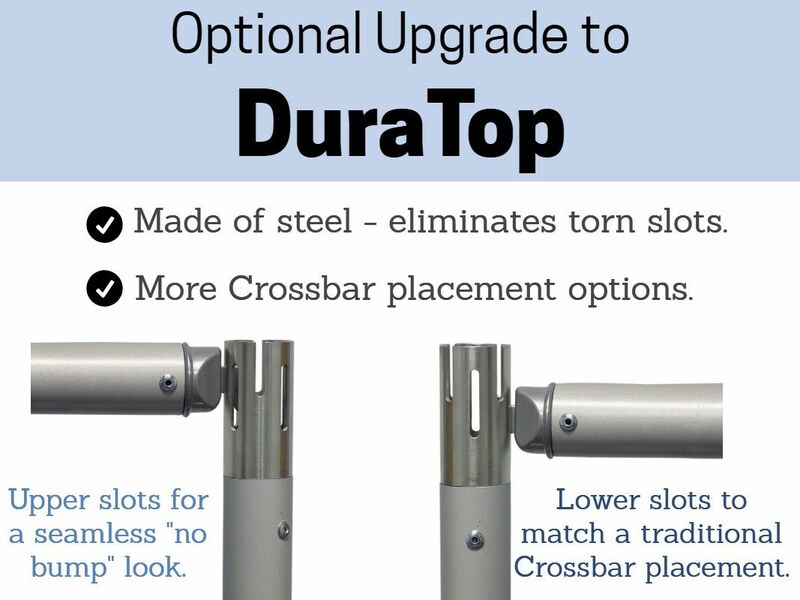 Learn more about the benefits of DuraTop. This hollow upright works with our Slip-Fit system, allowing for easy installation over our base pins (for 1.5 inch diameter Uprights). Quantity 1 = 1 Upright. Base and other pipe sold separately. The minimum size/weight base recommended for this upright is our 18 inch x 18 inch (17 lb) base. This item must ship by freight due to its size, and is not eligible for FREE SHIPPING. 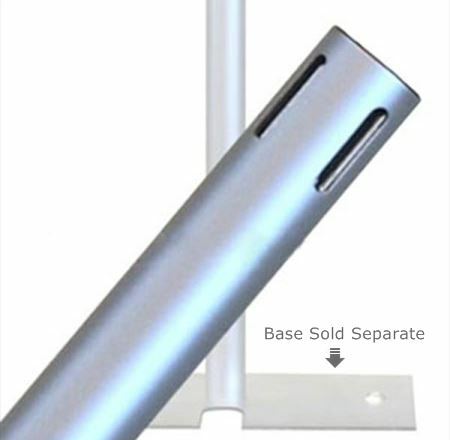 To save on shipping costs for smaller quantities, please see our Related Items below for our 10 foot tall Break Apart Upright that can be shipped by regular Ground service. International customers - this product has special handling requirements. Online purchase is not available outside of the United States. Please contact us and we would be glad to check any available shipping methods and rates.